Verma will report to Shashi Sinha, CEO, IPG Mediabrands India and will oversee the entire India operations. 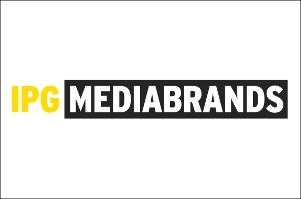 India's leading media agency, Initiative, part of the Interpublic Group's media management network IPG Mediabrands has announced a major elevation and restructuring. Vaishali Verma, chief operating officer, Initiative has been promoted as the chief executive officer of the agency. 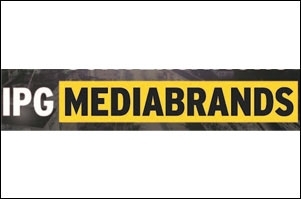 Verma will report to Shashi Sinha, CEO, IPG Mediabrands India and will oversee the entire India operations. Armed with over 22 years of experience in the area of media, advertising and marketing, Verma has been a strong force in helping brands connect better with consumers. Will Anstee, regional president, Initiative - APAC shares in apress note, "I couldn't be more excited to have Vaishali steer and deliver on our Initiative proposition in India. Her passion for the craft, her consistent high performance and the conscientious way she approaches every task, make her the natural choice for the role." Talking about the appointment, Shashi Sinha, CEO, IPG Mediabrands India, says, "What makes this truly special is that Vaishali is an insider and has grown from strength to strength in the Group, over the last twenty years. I am hugely proud to have such superlative talent from within steering the ship. She embodies IPG's culture and values and is an inspiring leader. I couldn't have found a better person to lead Initiative Media." Verma adds, "The advertising business is going through the most interesting times and it has never been more difficult than now to get consumer attention. Fortunately there is a better way of building audience relationship by being as relevant as possible and at Initiative we use Culture as the bridge to stay relevant. Culture forms the canvas and the fabric of how we lead our lives. We help brands grow through culture by distributing ideas, content and conversation. To be a part of this opportunity, to shape it with some of the sharpest minds in the business, is what excites me." A MICA alumni, Verma started her career in advertising as a media planner with Mudra Communications in 1995 charting the media strategies of brands like McDonalds, Samsung and Nestle.